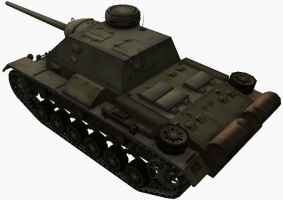 The SU-85I is a Soviet tier 5 premium tank destroyer. 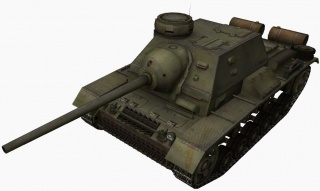 This tank was removed from sale in the gift shop and to buy for gold via the in game tech tree on the 8/6/15 Removal of Premium Tanks From Shop as part of the WG retirement plan. Overall poor armor and very tall. This tank has a decent gun for its tier, having the best DPM of all tier V TD's. However, it is not terribly accurate. It should be played like a support tank, although sniping is not impossible. The penetration of the gun with AP ammo is good enough to pen almost all tanks in tier 5 and 6, with exception of some heavys and TDs. Because the gun is not reliable enough to fire at weakspots from long distances, it is advised to carry some APCR to deal with heavy armored tanks. While the armor is decent for its tier, it will be penetrated by almost anything the tank is matched against. It's important to make use of good camouflage to stay hidden, take shots at unaware enemies, then use mobility to move to a new location or behind cover. Remember that the tank has excellent maneuverability, and can therefore relocate very quickly and effectively. Because of the weak armor and overall low survivability, Sixth Sense will help you to know when you are spotted. 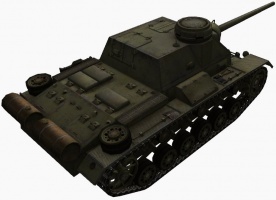 Since this is a premium vehicle, you can train any existing Soviet TD crew much more efficiently due to the modifiers. 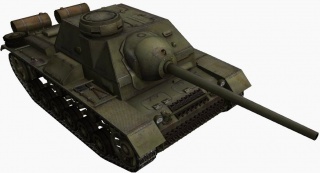 The SU-85I was a medium tank destroyer developed by Lew S. Trojanow on the Panzer III during the early war as a response to the new well armored German tanks. The project was halted due to a shortage of D-5S-85 guns and the uncertainty of whether or not more Panzer III hulls would be available. Work on the SU-85I was given up once it was decided there was no more need to convert captured German vehicles. This page was last modified on 24 October 2016, at 03:51.